With the idea of grouping discussions around the use of #word. In July 2009 Twitter followed the idea and introduced the hashtag into the code, resulting in #hashtags being hyperlinked. 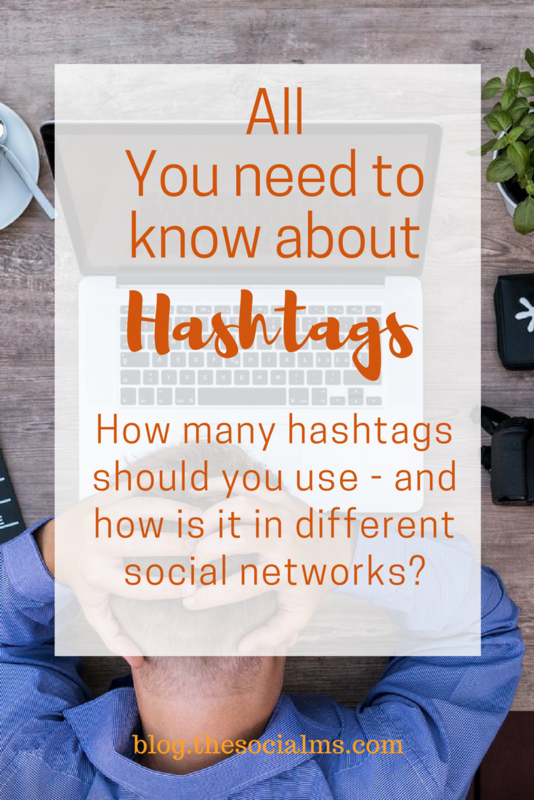 Hashtags are a popular way of categorizing social media updates. The combination of the pound symbol # with a keyword are hyperlinked in social media allowing to search for and find relevant content related to the keyword. This way hashtags make content discoverable and allow people to connect with other social media users interested in a given topic. Do some research on keywords and hashtags related to your tag. There are tools to help you with this research, see the end of this post! Here is an overview of how to use hashtags on the major social networks! While metadata tags have been around much longer and first people started these tags preceded by a „#“ years before, Twitter „officially“ adopted the hashtags in July 2009 and hyper-linked everything with a # in front. Later Twitter went further by introducing trending topics and place the most popular hashtags right on their homepage. Hashtags on Twitter are part of a tweet. Either included right into the tweet text – or added after the tweet text. Each #hashtag is shown in the color you have chosen for your Twitter profile. Thus the #hashtags are highlighted – and catch the eye. On Twitter usually in a tweet is not enough room to add multiple hashtags AFTER the tweet text. Many hashtags are included right into the tweet text. That is why tweets with many hashtags get harder to read. 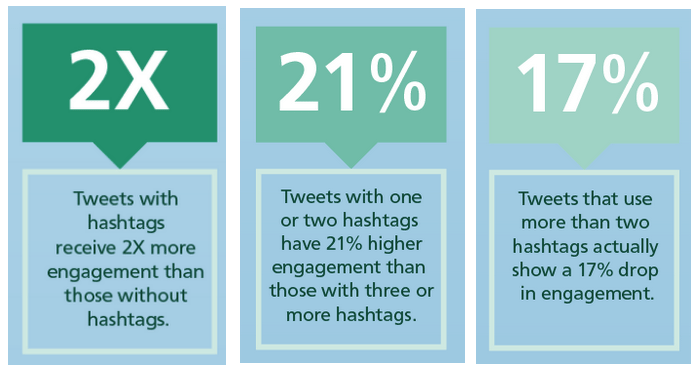 Tweets with 1 or two hashtags get more attention than tweets with less or more hashtags. Choose hashtags that have something to do with the topic of your tweet – no use to try to hijack trending hashtags when you have nothing to say about the topic. This will usually backfire. Trending hashtags can give your tweets an extra boost and added visibility – but only if you can add to the discussion. You can not only use hashtags in your tweets. You can also use hashtags in your Twitter bio to make sure people associate you with the right topics – and make your accounts get found for these topics. There is a lot more to learn about Twitter than hashtags. 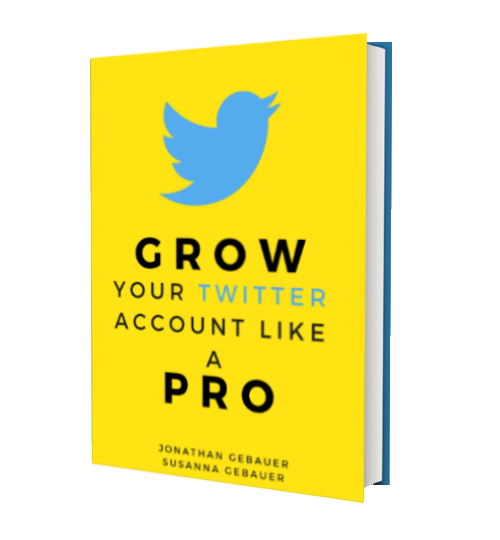 We know how to get massive traffic from Twitter – Twitter helped us grow our blog to 50k visitors per month in just 6 months – and Twitter is still our main source of traffic. Facebook was fairly late to adopt hashtags (2013) – and they never quite came into popularity. I often see people rather use hashtags to add some (fun) keywords rather than add hashtags in a marketing sense. However, you still can use hashtags to try to get some more attention to your posts from people searching on Facebook for information. Simply add hashtags to your post text. You will have to do your homework and find the best hashtags yourself. Facebook is not Instagram. Do not get over excited with your hashtags and keep the number of hashtags per post below three. 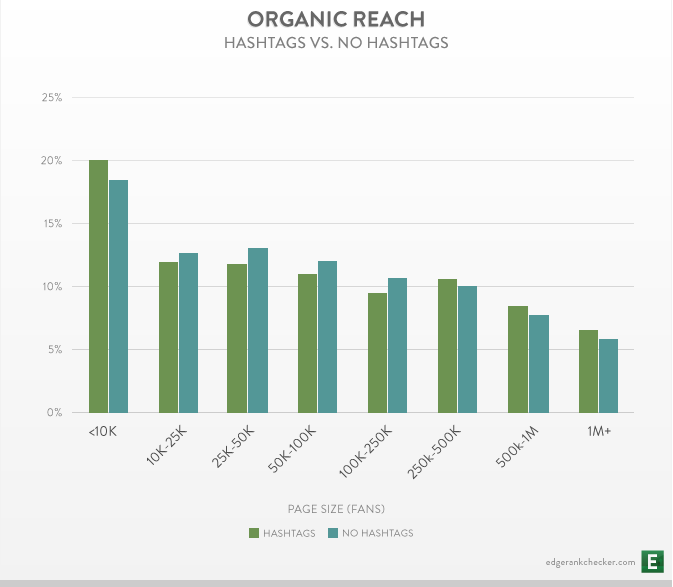 Data shows that too many hashtags can cause a serious drop in engagement and will hurt your marketing. Especially since the number of words you use in your posts is not limited on Facebook, you should not put the hashtags in the text of your post but rather add them at the end. A study from 2013 found that the use of hashtags may reduce the organic reach of posts on fanpages. If you want to make sure your hashtags help you to increase reach and engagement, you should watch your own numbers and make a decision based on that. Instagram lives on the use of hashtags. The right hashtags can drive engagement from people who have never heard of you before and will be the key to growing a targeted audience and engagement on your posts. Add as many hashtags to your Instagram posts as you like. Make sure the hashtag match the content of your post. Instagram will help you find the best hashtags: if you start typing a hashtag, Instagram will provide you with some suggestions and the number of times this hashtag was recently used. The best hashtags are the medium popular ones. 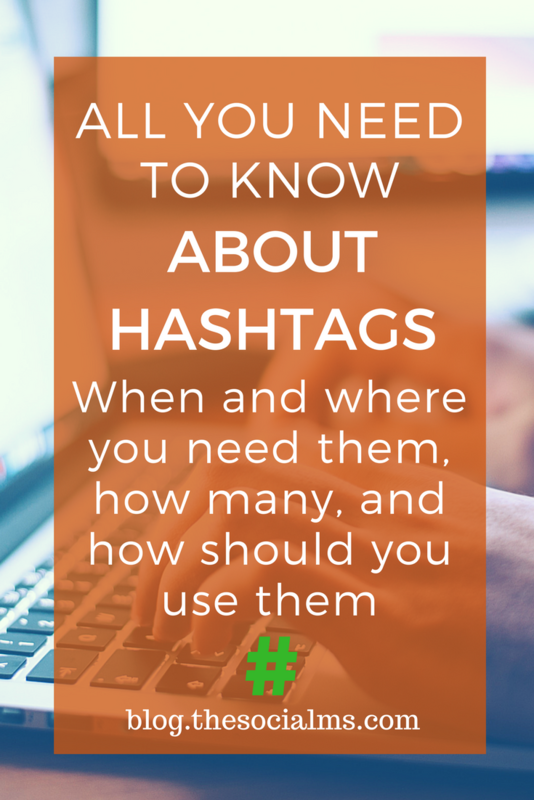 Too many posts on Instagram related to a hashtag and your post will get lost in the clutter – very few uses for a hashtag suggest that this hashtag is neither used nor searched for very often and thus cannot give you a lot of success. Extensive use of hashtags on Instagram is not a problem. 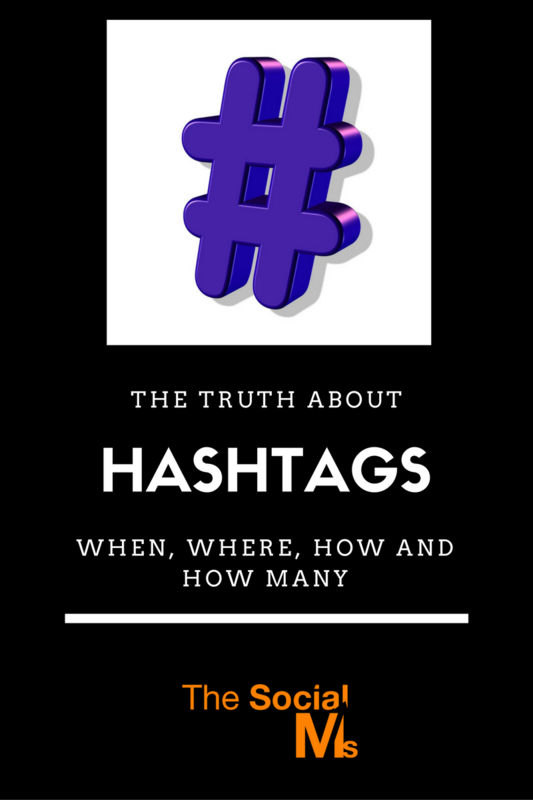 You should aim for several hashtags; 10+ hashtags is common practice. If you do not want to clutter your post text with hashtags, use the „return“ key and push the hashtags further down in the description of your image. You can even post an update without hashtags in the text and add hashtags as a first comment. The advice on using hashtags on Pinterest you can find out there is rather conflicting. Some say YES!!! Some say: Try. And some say: Don’t bother. Pinterest supports hashtags. So if you find a hashtag in a pin description, you can click it and find more content related to this hashtag. Everywhere else on Pinterest hashtags are not clickable. That includes bios, board descriptions, and board titles. Your hashtag search results can be filtered so that you can see only boards if you are specifically searching for boards on a topic. But according to Viralwoot, even this search is not very exact. Not overly many Pinterest users seem to be very fond of hashtags, and the search results for hashtags return poor results – which may well be the reason that hashtag adoption on Pinterest is low. Pinterest recently put a new focus on hashtags. Since October 2017 the best 4 hashtags of the pin descriptions (if there are any) show in the text below the pin in blue. This shows the new importance of hashtags on Pinterest. It is as simple as this: Add relevant hashtags to the descriptions of your pins. Hashtags on YouTube recently got a new boost when YouTube added Hashtag search earlier this year. That means you can now not only search for keywords and key phrases which will give you results sorted by secret algorithms based on ratings, relevance, and engagement. Hashtag search will now also provide you with trending videos and some freshly added videos. Thus hashtags may have the power to give your new videos a boost. Simply add hashtags to the description of your video or in a comment. But do not neglect the use of keywords in your description for SEO reasons – you should make sure to use relevant keywords anyway. As with most other networks excepting Instagram, more hashtags will not give you more success. Be careful not to overload your video description and select a few very relevant hashtags. Finding the best hashtags is key to adding value by using hashtags. Do not simply go for random hashtags – invest some time and effort in choosing the best. On Instagram, finding the best hashtags is far easier since the Instagram app helps you find related hashtags and provides you with information on the number of recent uses for a hashtag. You can also use the search function on Instagram: Simply type a keyword and choose the tab „#“ for hashtag results. 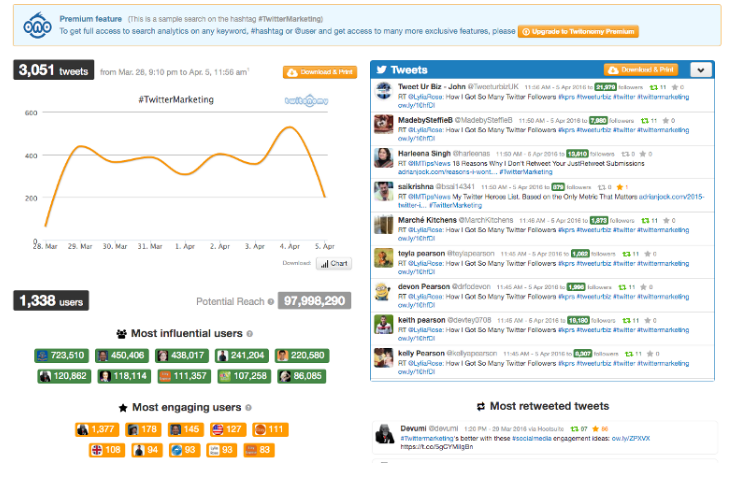 What The Trend is a tool from Hootsuite media and provides you with the Twitter trends for the past 30 days. Twitonomy can help you find hashtags for your Twitter marketing based on your tweets and the content you share via Twitter. RiteTag is a Browser extension that gives you instant feedback on your chosen hashtags as you type them. It works for Twitter and Facebook. RiteTag can also alert you to trends, and you can compare groups of hashtags. 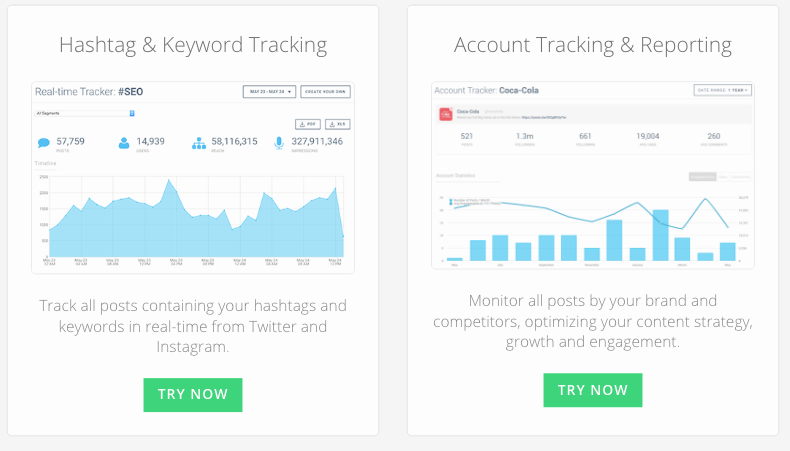 Hashtagify.me is another tool that helps you find perfect hashtags for Twitter and Instagram. You can also set it up to send you email updates on trending hashtags. 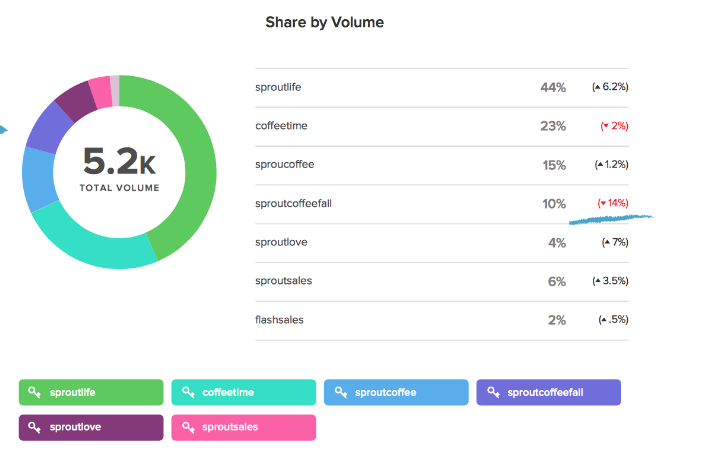 Hashtagify lets you research the best hashtags connected to your brand – and monitor conversations related to a hashtag on Instagram. Sprout Social is not only a powerful social media management tools. You can also use it to find the best hashtags for your purposes. Keyhole is a real-time monitoring tool for keywords.